We Buy Houses Home Services LLC is a real estate investment company in the Greater Chicagoland Area. We have been investing in Nationwide real estate for over 20 years. 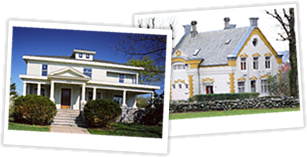 We began as a residential real estate rental company and rented apartments and houses. We noticed that the tenant/landlord relationship is an opposites relationship. The tenants job is to get as much fixed on their apartment or house as possible without spending their money. While the landlords job is to collect as much money from the tenant as possible and avoid spending the money on repairs. So this situation can create a natural friction between the two parties. In 2001, We decided to look for another avenue in real estate that could create a win-win situation for the owner and the tenant or buyer. We created a system that makes the tenant a part owner in the property working toward more ownership and the property owner (aka landlord) is given incentive to help the tenant reach their goal of complete home ownership. From this idea, We Buy Houses Home Services was born. Now our company specializes in helping tenants become home owners. In order to do this we create a win-win situation between our buyers and our sellers. We make every resource we have available to make sure their is a smooth transaction for both the buyer and the sellers. We educate our buyers and our sellers so that they understand how our transactions take place and we answer many of the questions that each party has before they ask them. Only thru this process can we assure everyone that we are here to help and to make sure the entire sale and purchase process is smooth for our buyers and our sellers.